Think of someone who is starving. They have gone a long time without eating, and have spent all of their time and energy thinking of nothing but how desperate they are to get a chance to eat, and to satisfy their emptiness and need. Once a plate is finally put in front of them, they become so frenzied to be filled… that they shove it all in as fast as they can, without taking time to taste or enjoy it. Eating too fast makes them sick, and results in bringing the food back up….so they do not get to benefit from having eaten it. This is what happens when you depend all of your happiness on only one thing. Once it finally is placed in front of you, it is very hard to control yourself, and leads to mistakes. However, if you spread your focus to other things, activities, and people (and work on personal goals and improving yourself)….when that plate is set in front of you, you will not be empty, and thus will be able to slowly eat it, savor it, enjoy it—and fully digest it. It also will help prevent you from from trying to grab something that is actually bad for you due to desperation to “eat” anything (just how we grab junk food, and other bad things that may taste good, but in reality cause harm, and do not have the nutritional value that we need). When you already are “filled”, you will have better judgment in what is truly healthy, and good for your honest well-being— and in what will help achieve the ultimate goals that you have for yourself. A common issue I often see while helping clients is that people tend to get locked down on a single focus. They will decide that one thing (or person) is what they need to be happy, and nothing else matters. They ignore other things and people around them, and do not see the need to work on anything within themselves. They become so sure that their item of focus is the one true solution to everything. It usually is anything BUT their solution. I would be lying to say that I have not been caught in that mental trap myself. Likely most of us have at some point. The problem I see though, are those who repeat it over and over… make the same mistakes etc… because they do not learn, do not want to see, or maybe do not want to be alone in the dark with their own selves per say. They get stuck in a place where they cannot grow, and cannot truly be happy (in a sustained way) either. Most often when I see this, it involves relationships… either a specific person of desire, or just simply really longing for someone to swoop-in, solve everything, and finally give them the happiness that they long for. However, once someone does finally come in? They are so desperate, and so out-of-control with need due to having put their focus on that desire for so long….that they usually sabotage it in some way for their own selves, or make desperate choices and mistakes. Desperate people often try to push and move things too fast. I have seen many ladies with the issue of not being able to wait to actually get to know the man, and to allow the relationship to fully develop. Within only a short period of dating someone, they have to press the big questions (ask the poor guy if he intends to marry them etc…), and it usually destroys things, even when the man otherwise had been interested. It is essentially skipping past important steps (including truly getting to know the person), and not having the patience to determine whether they are even a strong enough match for marriage potential. Some instantly tell men (that they barely know) that they love them, that they are their soulmate etc…and many think that pushing for physical intimacy will quickly secure things, regardless of skipping important steps, and missing deeper crucial elements. They try to “love bomb” them to convince them that they are perfect for them, and thus should quickly jump into commitment (they want to cinch the relationship fast, rather than get to know the person–often because they are more in love with the idea of someone loving them, than the actual person themselves). Some people are so desperate to be in a relationship, have someone love them, have someone fill them….that they are willing to disregard very negative things, or to hand themselves over. They will ignore blatant issues, make excuses for negative behaviors, and make big sacrifices…. in order to cling-to, and attempt to make the situation work. It reveals a lack of love of self when people drastically change, or go against their own selves in an attempt to make something work that otherwise is not a correct fit for them— it is like rolling, and twisting around to force yourself into jeans that really are too small. Desperation causes impatience, and people will make-do with, and try to force themselves into what they can immediately find/ get, instead of waiting for what truly aligns with, and is good for them. It is all the more destructive when two people with the same desperate/ impatient inner need get together—neither of them are grounded enough to rationally address, and recognize the negative patterns, and missing elements. They both are at risk of rushing in, and creating something built out of fantasy, and desperation (which can promote an unstable euphoria for those who think they have found their solution). It is essentially a bomb, and a match forming a relationship. Eventually the inner issues that cause the manic rush, and the very things they want to ignore…. are what will “blow-up” the relationship……often resulting in dire consequences. When it comes to focusing on a specific person, it results in similar issues and responses. After having to contain themselves for so long while thinking of nothing BUT that person… if they finally get a chance, they tend to go way over-board, or instantly break down in needy emotional displays. Stunts and manipulation tactics sometimes are used to try to push/ force things to develop, because their inner need does not have the patience to let things grow in an organic way. Typically, what is most needed is patience, calmness…..and being able to show that person that they are in a stable, balanced, self-loving place (in order to not scare them away again with red flags, and to be able develop a healthy relationship). However, someone who is overly-focused on someone being the solution to their emptiness and problems often cannot restrain their frantic, unhealthy need for very long… and will turn to “love bombing”, ultimatums, or drastic manipulations to try to force/ break-down the other. Their methods tend to disrespect the other person’s feelings, needs, wants, boundaries etc… In reality, those kind of behaviors and tactics do not denote truly loving someone. Instead, it reveals that someone is very self-serving, no matter what they claim, or how hard they try to convince people that it is due to passionate love. It is due to a passionate need to be loved, validated, filled….or to even create an identity through attachment to another person. I sometimes give clients an assignment to help put things into perspective. I request that they sit down, and make lists of things they would like to do, places they would like to go, people they would like time with (friends, family)…. and goals they would like to achieve for themselves. So often simply thinking, and writing those things out, helps them to finally see how much they were putting off and ignoring because they were so locked-down on their narrow focus. I have had a couple people tell me they did not understand why they were crying, or so emotional… and the answer was because deep down they were longing for so much more than what they were allowing for themselves, (and to be healthy and whole)…that basically they were missing their own selves— and no one else can provide that. It all starts from within. If we truly want to succeed, we first have to nurture and prepare the ground we hope to plant the seeds in. To be honest, I sometimes am not the best at taking my own advice. In my case, the situation of having locked myself on a single focus was well over a decade ago, so I at least learned from, and have not repeated that…. but instead, over a course of time I sort of failed to notice how far I had pulled myself away from the things that I love and need. However, once I became aware ( and of the reason behind it), I pretty much immediately set to work to changing it—and my own self( thus, I did take my own advice 🙂 ). I have already seen many improvements in myself, and simply working on achieving things in itself brings rewards, and opens my mind to more possibilities. No one else could do, or provide that from the outside ( not that I was looking for that, just making the point regardless though). We cannot expect different results when we keep repeating the same methods and thought patterns. We also cannot depend on others to solve the issues within us, or to be the complete source of our happiness. We are responsible for our own fulfillment and identity. I have decided to add occasional posts focused on scriptures, my thoughts etc…. there likely will be a bit of a theme of things I am personally working on, and striving for…so bare with me if that gets old. :) I am just trying to learn how to become more comfortable in communicating this side of myself, since it is an area I have often been kind of quiet/private in. On the surface my first thoughts basically are along the lines of the simple truth of how attitude, and what is going on within us affects everything–our thoughts, how we view things, the choices that we make,and how we see our own selves. Sometimes it can seem so tempting to curl-up into the dark, our worries, our negative self-talk…it kind of has a way of crooning to us, and then trapping us down, and pulling us away from what we love, believe, our ultimate goals, and who we truly are. It can weaken our hold on our faith, make it hard to trust, and limit our ability to keep our hearts open to the spirit, and guidance that we need. If we block-out our friends and family, of course it is likely that we also can build-up unintentional walls at a much deeper level as well. We just can become so clouded that we cannot see it. We might even be desperate for help.. light… even think that we are seeking… but can be unaware that we have built our own obstacles that prevent us from seeing and hearing. I know I have, many times. On the flip-side, when we are able to keep a positive perspective, and seek for the good in situations and people… things have a way of working-out, no matter how daunting they may first appear. When our hearts are open, the weight of problems are much lighter, and we are far more receptive to the aid that we need in tackling things. In a way, cheerfulness…a “merry heart”…as light and simple as it may sound, can be one of the most important tools to help us face the storms that come at us, because it also enables us to hold firmer to our faith, and have clearer vision and understanding of the purpose of things. People have a way of being drawn to that kind of light when they discover those who shine with it —whether it be the need for kindness, strength, or simply deep down craving to be able to gain that kind of peace and perspective for their own selves. I think we all know innately that is where we truly want to be, and what will help our inner-selves sing regardless of what is thrown at us. Being positive, merry etc…does not mean that a person is blinded, unaware, or unable to face the reality of situations…it simply means that they choose to not let fear rule them, or taint their inner-voice and vision. The reason I am writing on this, is because I often feel a tug between the two. I believe that naturally I am a positive person…it takes so little to “light-me-up” per say, and I always try to trust and have faith that things will work-out for the best, and the reasons will eventually be revealed. However, I struggle with some lingering anxiety issues that stem from ptsd struggles, despite nearly a decade of otherwise being free of that. Largely, certain types of social interactions, exposing myself/ making myself vulnerable in certain ways causes me to clench-up, and get into the negative fear-based merry-go-round that holds me back, and restricts me from engaging in what I most need, and what would help to bring more happiness into my life. I am fully aware of the issue, and striving to resolve it, but often find myself stuck regardless. Logically, I can see how what I think likely is not true, and see the damage that it causes– but it is hard to get past regardless. We all need to be kind, and understanding of those who do have depression, anxiety, ptsd issues etc.. because sometimes no matter how much we desire to be open and happy, our inner-wiring can work against us, and deprive us spiritually, mentally, and emotionally. Simply telling someone to “perk-up, look on the bright-side, get past it” isn’t always enough, and it can even cause more harm than good (a person can feel all the more down on themselves for not being able to simply shift gears like that). Sometimes what is needed most is an understanding hand, non-judgmental ears to listen, a gentle knowing voice that can help untangle things… and simply guiding by example, and through the sharing of your own inner “light” and faith. 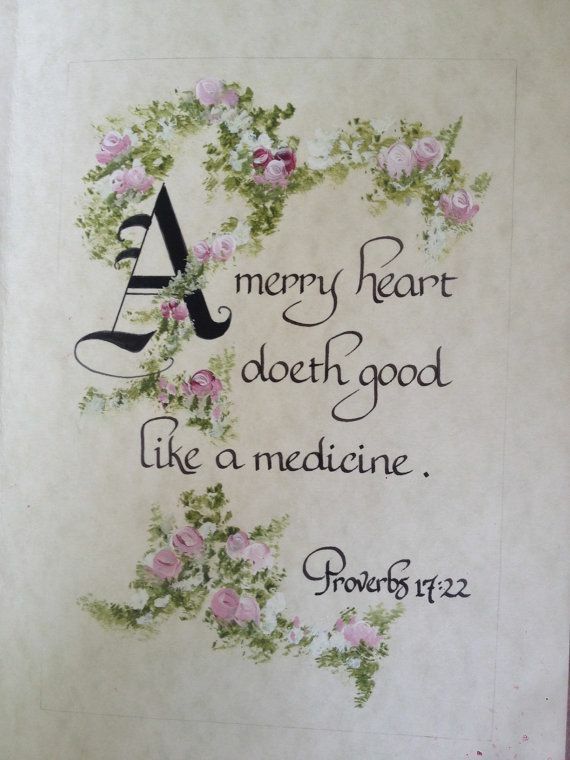 A merry heart is not just medicine to our own souls, but also to the souls of others. 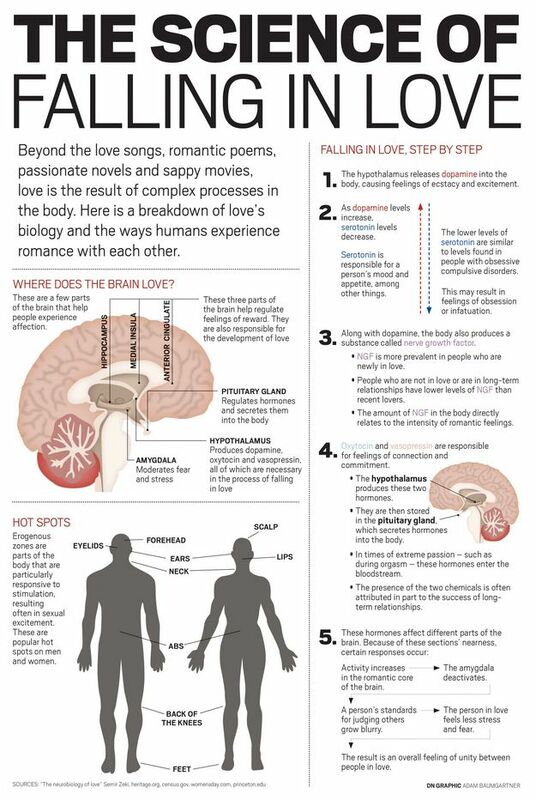 The chemical process behind love is interesting to me due to both the scientific angle/ biological process behind something we typically would not consider in that way…but also due to how there are so many correlations to the kind of responses that people have to addictions—down to how the “reward” element plays a crucial chemical role/ response with both. The thing is, chemical reactions just do their thing, regardless if it is responding to something that is fantasy, or something that is real. It completely makes sense given how many people get addicted to simply being in love ( we all have seen, or even experienced it)—people who have to have someone, anyone, in that focus placement/ filling that role, even if they barely know them, or its not a healthy or realistic situation. I frequently see people who are not really in love, but in love with being IN love, and the way that it rewards, fills empty holes within, distracts from problems, and gives something to mentally focus on, etc….even if they are not actively with, or getting something from the person of focus (“On my own, pretending…”). I have seen patterns in many clients who routinely only select/ fall for people who are completely unobtainable– married, live very far away, bosses, someone who will never even talk to them etc.. They simply need/crave that “high”, and the other internal filling elements of being in love (even “tormented love” can be “filling” in it’s own dark, unhealthy way). However, despite intensely having that need, they sometimes are not able to contend with the issues faced in developing real relationships. Some people want to avoid real responsibilities and life changes, but typically it is more likely due to insecurities, fears etc.. that make some drawn to situations that obviously cannot ever develop into a real/ full relationship—thus they are able to gain the chemical rewards, and mental fillers of “love”, while also beating rejection to the punch in a sense. It also often involves an external excuse/reason to blame as the reason that it cannot work-out, compared to the possibility/risk of being rejected for personal reasons when engaging with those who are obtainable/real, and who have potential to grow into an actual mutual relationship ( or not, if it does not work out.. thus the scary risk element). It really can be a fine line sometimes, and hard to determine when it is just some kind of addiction response or high, and when it truly is something solid, connected, real, healthy and so forth. It is hard enough to think and feel our way through things without having to also contend with our brains firing off chemicals that stimulate reward/ addiction centers etc.. which can also cloud judgment, and cause unhealthy situations and choices. I can see how anyone who is predisposed to addiction issues/ relying on chemical response rewards would have potentially more struggles with being able to separate fantasy from healthy connections/ relationships. Just my two cents, observations, considerations etc…given how many clients I see who struggle in this area, and how this helps to explain what could contribute to it. Many have other addictions/ struggles, thus why I can see that correlation.